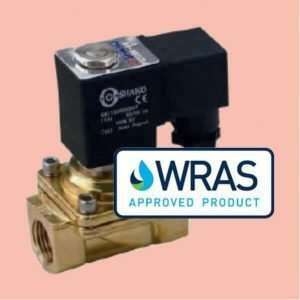 A normally closed solenoid valve combines a solenoid (electromagnet core) with a valve body containing one or more entry/exit points. Flow through an orifice is shut off or opened by the movement of the electromagnetic core depending on if the solenoid is energized or de-energized. The core is in water tight housing. When the solenoid is powered, the core directly opens the valve. When de-energized, a spring returns the valve to its original position. The force needed to open the valve is proportional to the valve size and water pressure. Depending on the size of the valve, will depend on what pressure is required to open or close it. Valves between 1/2″ and 2″ do not require any pressure to open them. These are known as zero lift or zero rated valves. Larger valves (above 2″) do require a small amount of pressure in order to operate (0.5bar). This is the differential in pressure between the input side and the output side of the valve. If the pressure is the same on both sides the valve will fail to open/close. 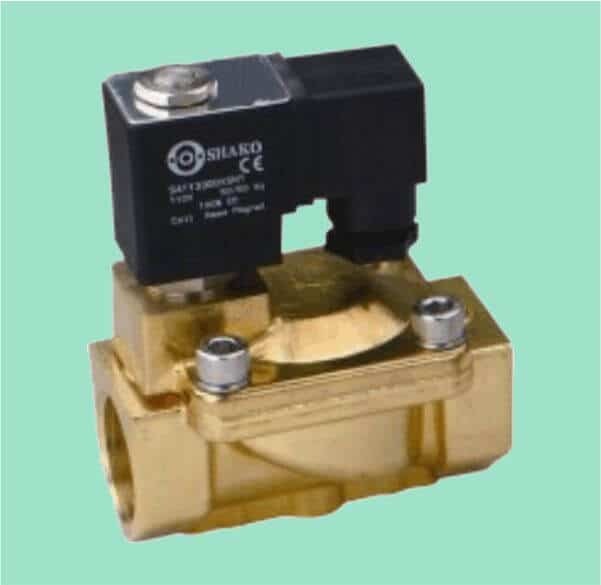 Commonly called 2/2 (2 way/2 position) valves, the normally closed solenoid valve has 1 inlet and 1 outlet that allows installation into a pipe and will shut off the fluid within it. Normally closed refers to the valve being closed when no power is presented to it and conversely requires a voltage to energise the coil in order for it to remain open. Available in sizes between 1/2″ (15mm) and 3″ (80mm) requiring a 230VAC supply (other voltages are available). Ideal for applications where there is an intermittent requirement to open and close the valve to allow water to flow is needed. This could be in respect of a process that needs water on demand such as a vending machine or when water is not required if nobody is present, such as in an office WC area.